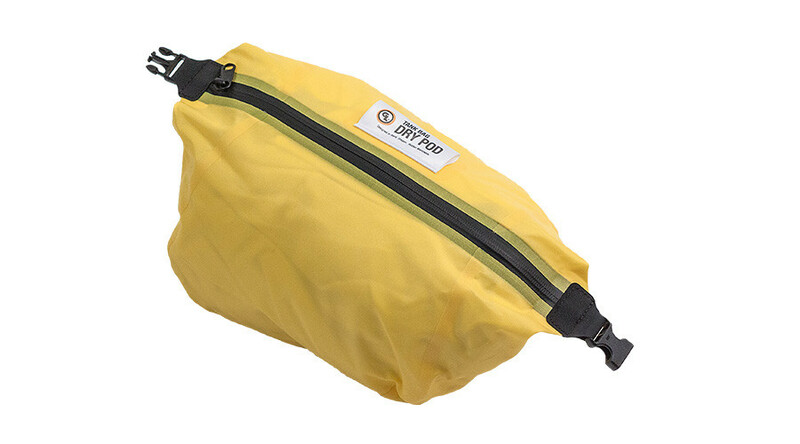 Rogue Dry Bag back in stock! 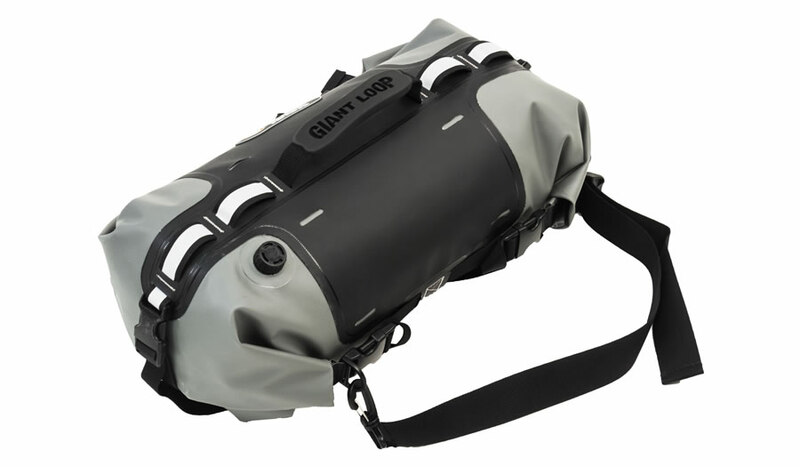 Features: 17 liters packable volume. 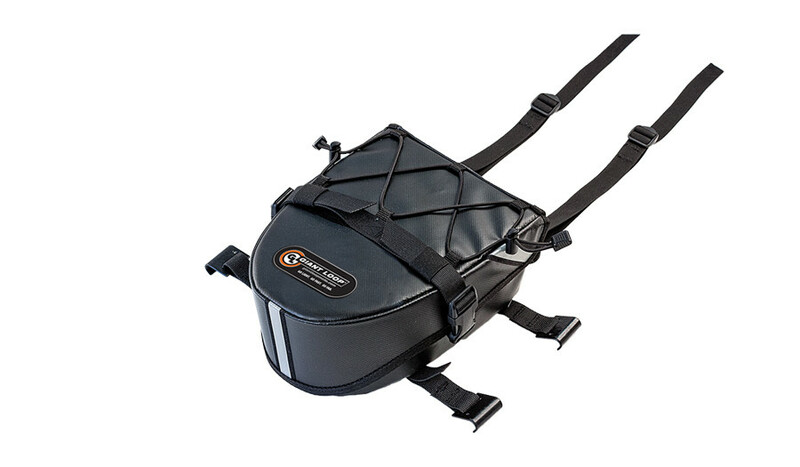 Integrates with Giant Loop Saddlebags and Panniers. 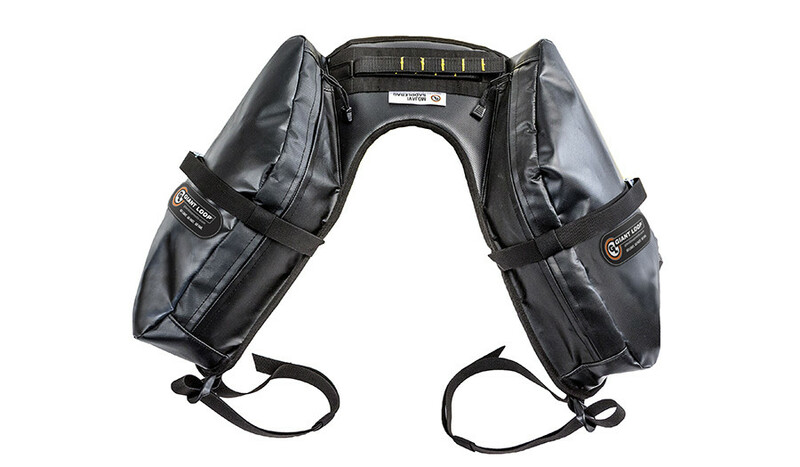 Opens from both ends without unstrapping from luggage or rack. 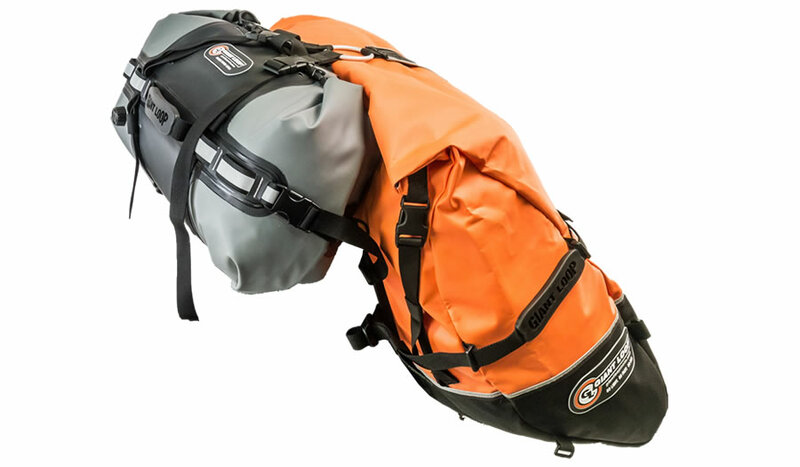 Includes: Air purge valve, two carry straps and D-ring attachments to convert to a backpack, rugged Giant Loop grab handles, additional lash points. 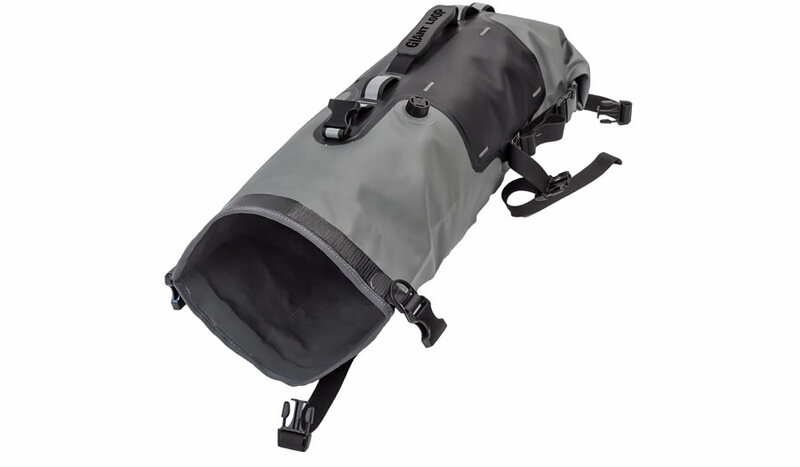 Or, take a look at our 16-liter Revelstoke Tunnel Bag.. 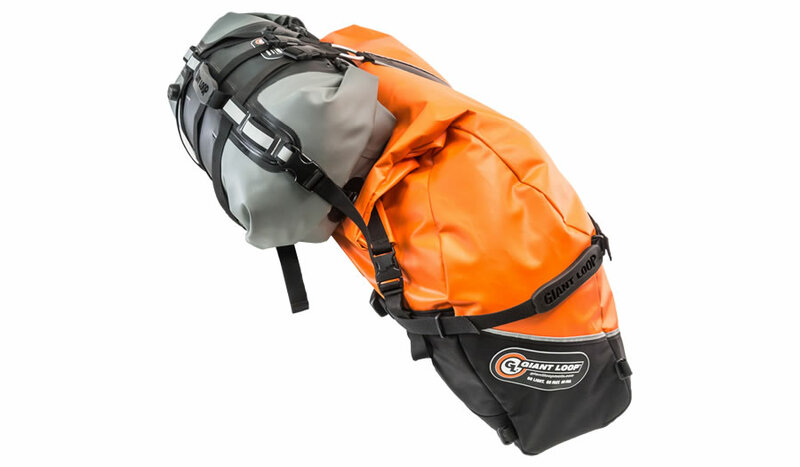 This is a great pack: not overwhelmingly huge, but capable of holding a day’s worth of supplies. 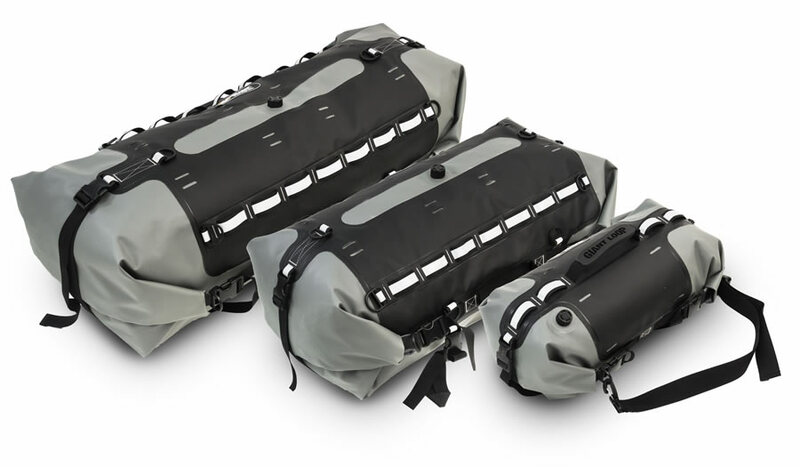 I used mine as a tail bag on an international ten-day moto trip and really liked it. 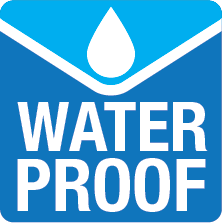 It’s made of sturdy materials and the workmanship is great. 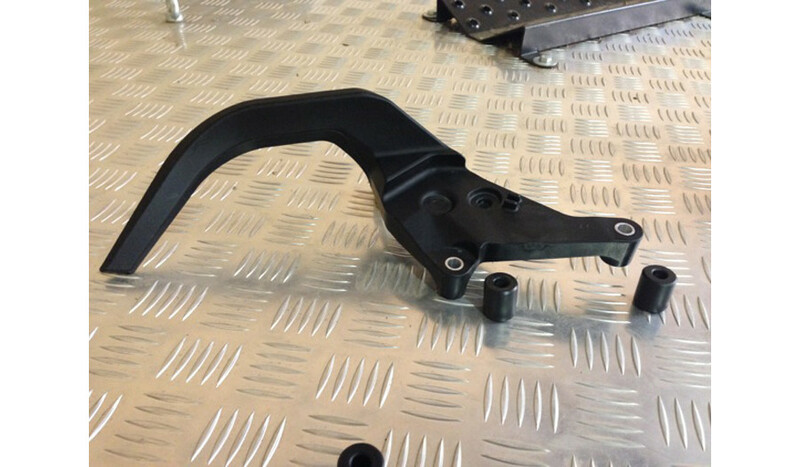 It’s easy to secure onto a bike, the grab handle is really convenient, and it’s really useful being able to get into either end of the bag once it’s on the bike. 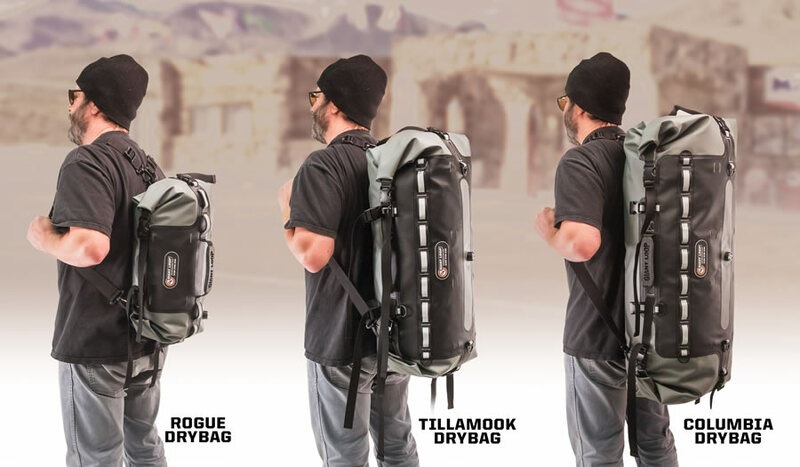 The backpack straps are kinda minimalist for an all-day carry, but they’re fine for a couple hours and made the Rogue a fantastic carry-on bag that fit under an airplane seat. I actually liked the bag so much that I ordered the next size up when I got home. 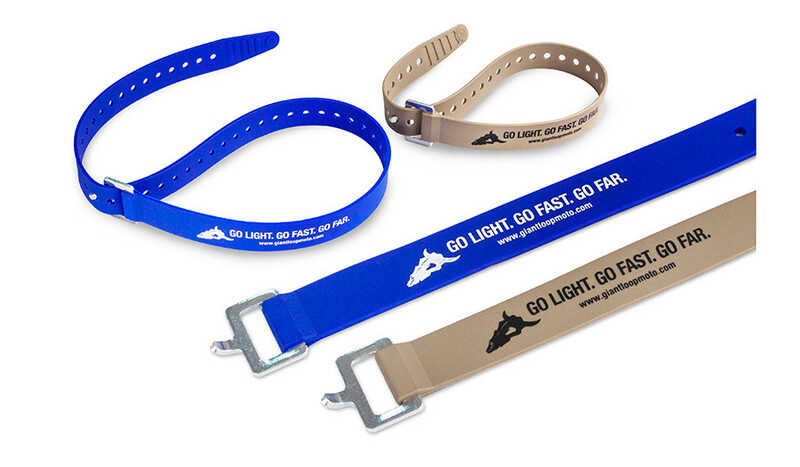 The one thing I’d add to the bag is a way to secure strap ends, which can get really long. I’m going to add some keeper loops before I melt the tip of another one on a hot exhaust pipe.